A dream has come true for A Rocha UK. The charity now has its own nature reserve – thanks to the overwhelming generosity of its supporters. 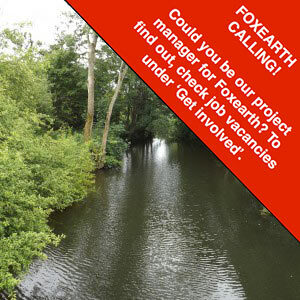 A benefactor had offered the 12-acre site Foxearth (pictured) to A Rocha UK at a special rate of £45,000. Such an altruistic gesture seemed to open the floodgates, as many responded to an online prospectus and magazine appeal in November. When donations poured in for the initial appeal, A Rocha UK’s former CEO Mairi Johnstone said it was one of the best campaigns ever. ‘We’re genuinely humbled by the response – especially against a backdrop of a challenging financial climate,’ she said at the time. That was closely followed at Christmas by matched funding campaign The Big Give, producing a further £20,000 to pay for a part-time ranger. Now the purchase has been made of this haven for dragonflies and damselflies.